what a cool song!<br>>> Dance Dance <<<br><br>kommt live so richig geil! Durchschnittssong der Band aus Chicago. Gar nicht schlecht. Geht fast in Richtung Fun Punk mit einem ordentlichen Tempo. Bleibt im Ohr. Ohne zu nerven. Bis jetzt jedenfalls...<br>Das Video ist allerdings etwas arg High-School-Niveau. Rassantes Tempo, "ohrwurmiger" Refrain. Doch, das reicht für eine 5*! Der Song ist einfach nur geil. Wenn dieser Sing gespielt wird gibt's Party pur! Dance Dance auf sowas haha ja klar...mir wird schlecht. Debile Heinos sind das! Mega cool! Das war der erste Song den ich je von ihnen gehört habe!!! This is a brilliant song, here in UK we were loving FOB but recently they're slipping down the charts.. <br><br>2nd UK top 10. <br><br>19 weeks in the UK top 100. <br><br>1 week UK top 10. UK#8.<br>Ireland#35.<br><br>1 week US top 10. US#9. <br><br>Brazil#11.<br><br>World Chart#31.<br>World Chart Year End (2006): #81.<br><br>400,000 copies sold in the UK. zeer goed nummer. net niet genoeg voor 6 sterren maar een plaat die blijft hangen in men hoofd . 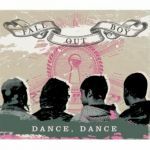 From my perspective, this is definitely Fall Out Boy's most instantly gratifying single. It's one that knows what you're thinking, so it makes sure not to meander about too much with verses, and even by the 2nd verse it's replacing it with drawn out vocals which actually reminds me a lot of a certain Brand New song. It goes without saying that the sheer energy really carries it along. really like this song! back in the days when fall out boy made good music! Should have charted, it's awesome.